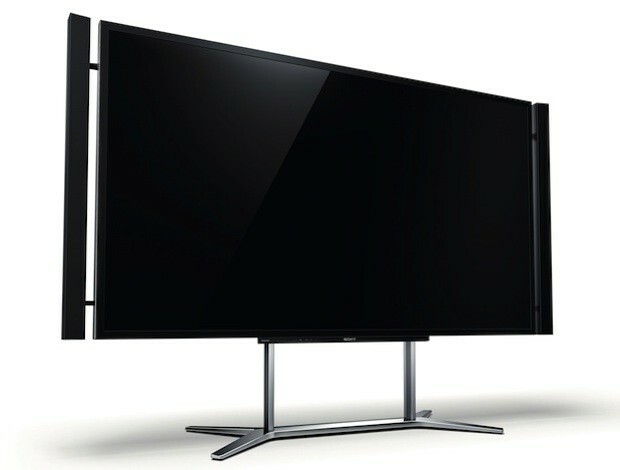 Kaz Hirai has promised a "One Sony" that aligns its various capabilities in entertainment and electronics to work better together, and it seems we'll have one of the first examples in its launch of the 84-inch XBR-84X900 LED TV. We spoke to Sony Electronics COO Phil Molyneux about the 4K Ultra HD Video Player that's coming with each purchase of its (MSRP: $24,999.99) beast and why, as he says, it's something "only Sony can do." First, we finally have the confirmed details of this first ever 4K player for the home: it's a hard-disc server, available exclusively on no-additional cost lease to purchasers that's preloaded with 10 full-length feature films (including The Amazing Spider-Man, Total Recall (2012), Taxi Driver, Bridge Over the River Kwai -- see the press release for a full list), a number of short concert / action sports clips from Red Bull, and an Xperia Tablet S packing a special remote control app that's similar to its Movies Unlimited service. This is the first time home viewers will be able to experience 4K video of this caliber at home, and from the cameras, to its Colorworks digital facility opened in 2009, to the special white glove service charged with periodically updating the hard-disc's content for well-heeled buyers, Sony plans on pushing more soon. Check after the break for more details on how that will happen.